Looking for a place you can go for everything you need to know about NECA 2014 Chicago? There’s an app for that.The official app of NECA 2014 Chicago is now available for mobile devices to download from the iTunes and Google Play stores. The free app, sponsored by NECA Premier Partner Graybar, is a one-stop shop for information on the association’s annual convention, September 27-30 in Chicago, IL. Features include: a list of exhibitors, complete schedule of events and the ability to sort by educational track or topic, speaker bios and a detailed NECA Show floorplan. There is also a function for planning. Users can make lists of “My Exhibitors” and “My Itinerary” to maximize their time in the Windy City. A directory of products will direct convention goers to the right booth armed with the information they need. Finally, attendees can stay connected via Facebook and Twitter and catch up on the latest convention buzz. Information on hotels and restaurants and a walking map of Chicago can be found on the app as well. Download the free app today for all your NECA 2014 Chicago needs. Search for “NECA 2014 Chicago” or “NECA” via the iTunes or Google Play app stores to download from your mobile device. Plan Your NECA 2014 Chicago Schedule + Much More! The National Electrical Contractors Association (NECA) unveiled its latest app for smart-phone and tablet users. The official app of NECA 2014 Chicago is now available for mobile devices to download from the iTunes and Google Play stores. The following three events have been rescheduled to accommodate the meeting and to maintain convenience for those planning to attend Saturday’s events. The Business Development Meeting, originally scheduled for Saturday afternoon from 1:00 pm to 2:00 pm, has been rescheduled for 8:00 am to 9:30 am, the ELECTRI International Green Energy Challenge, originally scheduled for 2:30 pm to 4:00 pm, has been rescheduled for 9:30 am to 12:00 pm, and NECA’s inaugural Student Chapter Job Fair, originally scheduled for 4:00 pm to 5:30 pm, has been rescheduled for 3:30 pm to 5:30 pm. Business Development Meeting: 8:00 – 9:00 a.m.
Green Energy Challenge: 9:30 a.m. – 12:00 p.m.
NECA Student Chapter Job Fair: 3:30 – 5:30 p.m.
Here’s The App for NECA 2013 DC! Once you’ve downloaded the NECA13DC app, you’ll need to sync or update the app periodically to get complete information about education sessions and last-minute changes. Sessions are listed two ways: under the Schedule icon by date, or you can search for specific sessions by Track. So don’t worry if you don’t see a session you know should be there. Simply sync the app, and all the information will be added! Washington, D.C. is known as a walkable city, but it can be a relief to take the shuttle to your hotel after a long day on the NECA Show floor or cutting a rug at the Opening Reception. 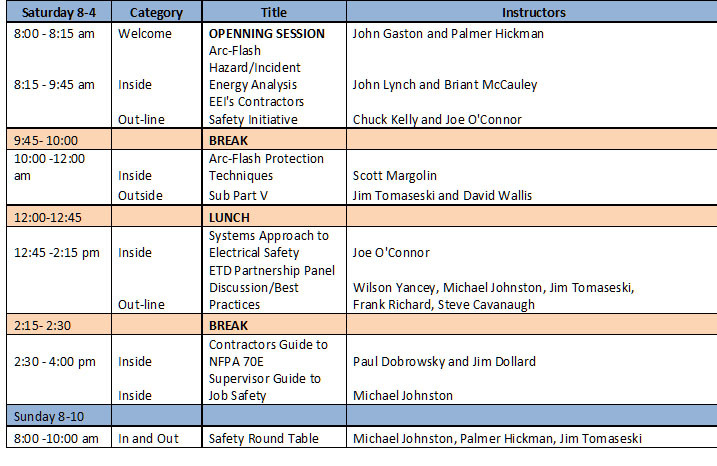 You can download a PDF of the full shuttle schedule and map for NECA 2013 DC , and quick summary of service is below. Complimentary shuttle service is provided between the Washington Convention Center and the official hotels (except Renaissance Washington D.C. Hotel and the Embassy Suites Convention Center, which are considered walking hotels). The walking hotels will have service to the Opening Reception. Service to Washington Convention Center. Schedule may vary due to traffic and weather conditions. Last bus leaves from hotels 30 minutes prior to end time with no return service.